The BJP may have been defeated in its quest to form a government in Karnataka and crack open the southern frontier, yet there's a case to be made that what happened on Saturday was the best possible outcome for the party's medium and long-term prospects in the state. This isn't to say that the BJP would be happy at being pipped to the post by a Congress-JD(S) alliance. As the single largest party, it would be frustrated at falling just eight short of the halfway mark. It would be smarting at its inability to conjure up the numbers despite a frantic effort. And it would be worried about allegations of "MLA shopping" that some say may have dented prime minister Narendra Modi's clean image. So would BJP have been better off not to stake the claim? It is my contention that despite the bad press, heartburn, loss of momentum and the risk of energizing the Opposition, BSY's decision to throw the hat in the ring was a net positive move. The gains to BJP in case of an abstention aren't clear except for an intangible ownership of "high moral ground". Conversely, not moving to form a government despite emerging as the largest player by a long margin in a three-way fight risked triggering a set of challenges leading to eventual destabilisation of the state unit. But before we go into that, let us see how the Karnataka outcome has altered the arena of national politics. There is no denying that the Opposition has got a shot in the arm. Despite being beaten at the hustings, Congress has shown remarkable speed and nimbleness in stitching a post-poll alliance — attributes that were missing in its arsenal. It has shown flexibility in offering the chief minister's post to a regional partner that won less than half of its tally. The Congress has five clear takeaways. One, it managed to cling to power in a large state (albeit through an alliance) that is crucial to its fundraising ability in an election season. Two, it managed to hold on to its flock in a display of fighting spirit. It is another matter that it had little trust in the integrity of its MLAs. Reports say Congress legislators won't get to return to their homes before the oath-taking on Wednesday. 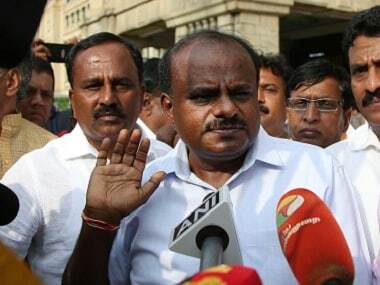 Three, with JD(S) leader HD Kumaraswamy becoming the chief minister (subject to proving majority) in a coalition government, the Opposition now has a 'Karnataka Model' to be imitated elsewhere. Four, Congress may have realised that its days of hegemonic superiority is over and it must play second fiddle to regional powers. Five, allegations of graft leading up to Saturday's dramatic events may give Congress enough talking points to target the BJP in upcoming elections. It remains to be seen, however, if these gains are offset by the problems that the marriage of convenience between Congress and JD(S) may run into. This is because, for all the show of solidarity between leaders of both parties, this is a top-down alliance unsupported by the grassroots workers and cadres who went into the election as arch rivals in places where BJP is a marginal player. During the campaign stage, Congress president Rahul Gandhi had called JD(S) a 'B Team' of BJP and coined the term "Janata Dal Sangh Parivar" to denote the 'S' in its name that stands for 'secular'. 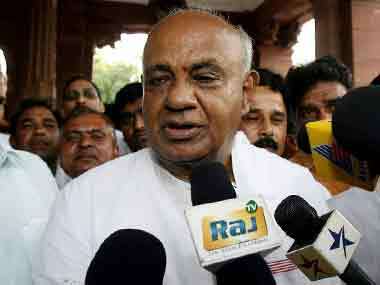 "In their (JDS) name there is S that stands for Secular. 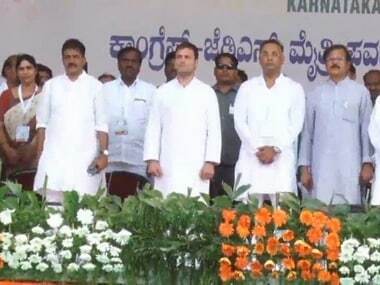 But in this election it looks like Janata Dal has changed its name and Janata Dal(S) means Janata Dal Sangh Parivar," the Congress president had said during a rally in Devanahalli. It isn't surprising to note that post-election Rahul has suddenly rediscovered JD(S)'s 'secular' credentials. Such an opportunistic tie-up, however, ignores inherent contradictions in the alliance that may lead to the arrangement collapsing under its own weight. For all protestations in favour of "joint fight with regional leaders against Narendra Modi's dictatorship", the Congress remains an intrinsically feudal unit run by a dynast from the auspices of a Lutyen's bungalow. Consider the fact that though Congress was ready to give an arm and a leg to the JD(S) to stitch an alliance to keep the BJP away and stay in power, it is CM-in-waiting HD Kumaraswamy who must fly down to New Delhi to have consultations on a coalition with the Gandhi family. Kumaraswamy, a seasoned leader from the south, is expected to be thankful that the Gandhis have given him an audience. Congress's state unit in Karnataka isn't happy at having to share the power with JD(S) but has no choice but to "swallow bitterness", as Congress leader DK Shivakumar told Indian Express. The leader, who is credited with the machinations of taking Congress's flock beyond the reach of BJP, expects Congress to get more ministerial berths because they have more seats. Note that the negotiations haven't even begun. Leaders may still be persuaded. More serious is the fact that there is little homogeneity in the voter bases of Congress and JD(S). Both parties are strong in the Old Mysuru region and draw from different, even mutually antagonistic social coalitions. The election saw a straight fight between the two in the south with BJP being relegated to the margins. Kumaraswamy represents the land-owning, influential Vokkaliga community who have been traditionally dominant in state politics whereas Congress is strong among the Dalits and other backward classes. As Venkatesha Babu writes in Hindustan Times, the SC/STs and OBCs "see themselves as oppressed by the Vokkaligas in the rural hinterland. The social bases of the Congress and the JD(S) are inimical to each other. If the Congress and the JD(S) tie up with each other, they would be vacating the space for the BJP to gain a foothold in the region, which it has been unsuccessfully trying to do for decades. Ground level politics do not operate in a vacuum and aren’t hostage to a party’s national compulsions." On the other hand, by openly coming out against Yeddyurappa—the tallest Lingayat leader in the state—and scuttling his chances of becoming the chief minister, the Congress has courted the ire of the 17 percent strong Lingayat community. This may result in a backlash against the party in 2019. By declaring Lingayat as a separate religion, the Congress might have succeeded in breaking the Veerashaiva sect away from BJP's core votebank in this election. That factionalisation may now turn into a stronger consolidation in favour of BJP. Lingayats won't take kindly to the prospect of being taken for a ride and the image of a septuagenarian Yeddyurappa being reduced to tears in the Assembly is a powerful image that may come back to haunt the Congress. 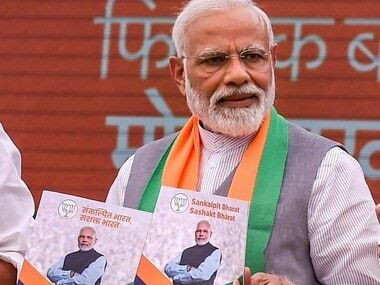 For his part, Yeddyurappa has promised to deliver all 28 Lok Sabha seats in 2019 for Prime Minister Modi in an emotional speech. Underlying that emotion will be a hard calculation. This is exactly the reason why BJP did the correct thing in bidding to form a government. 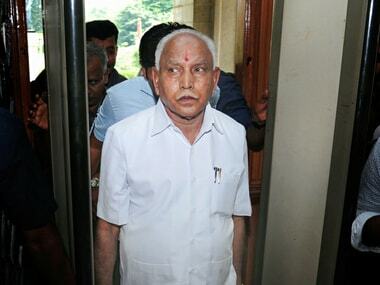 Having declared Yeddyurappa—who has in the past broken away from the BJP and sank its electoral chances—the chief ministerial candidate pretty early in the campaign, if the BJP refused to stake its claim, it would have not only angered the powerful Lingayat leader but also antagonised his loyal voter base and factionalised the party in the grassroots. The BJP leadership can now say that it gave Karnataka the best shot, but it wasn't to be. In the bargain, it may have fortified its hold on a political influential community. Ultimately, Yeddyurappa and Amit Shah would be aware that it is far better to lead a strong Opposition than run a weak government in a critical swing state in the lead up to 2019. Also, another crack at government formation might emerge sooner than is being anticipated.